School board elections have a reputation for being sleepy affairs—low voter turnout, minimal campaigning, and little media attention. 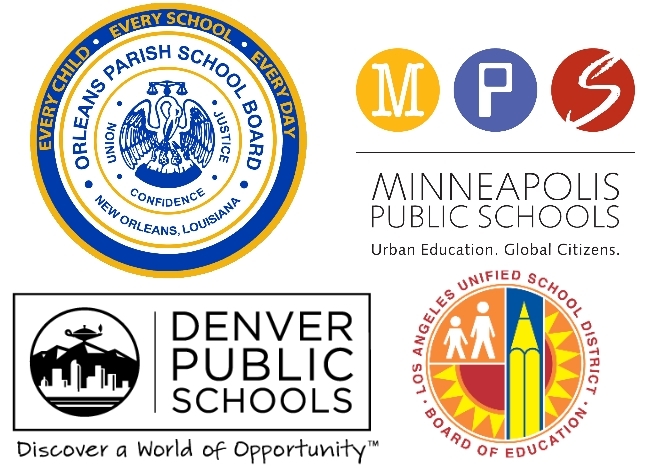 But recent news coverage of school board elections in cities like Denver, Indianapolis, Los Angeles, Minneapolis, and New Orleans seems to indicate heightened interest in these races: out-of-state donors are writing very large checks to support candidates and PACs in local elections. Many of the outside donors are very wealthy and some are billionaires, such as former New York City Mayor Michael Bloomberg and Netflix founder Reed Hastings. Based on research on federal elections, we know that the role of very wealthy contributors is growing; for example, the percent of campaign contributions from the top 0.01 percent of the voting age population grew from under 20 percent in the 1980s to 40 percent by the 2012 election cycle. Are people like Bloomberg and Hastings simply atypical donors with a particular interest in school board elections? Or could this behavior be more widespread and connected? Our study (recently published in Urban Affairs Review) shows that many outside donors are connected to one another through ties to education organizations, which suggests the emergence of a coordinated donor social network that could influence future election cycles. We investigated this phenomenon with an original dataset of 16,000 campaign contributions from local education elections between 2008 and 2013 in four cities: Bridgeport, Denver, Los Angeles, and New Orleans. We chose these cities purposefully, based on evidence of outside campaign contributions from secondary sources. Our goal was to understand two main things: 1) How much do school board campaigns rely on outside money and which candidates receive these funds? 2) Are outside donors mostly isolated individuals, or could these donors share organizational ties? Our research shows that outside donors can comprise a substantial share of the contributions from individual donors. We focus on “large national donors”—these are individual contributors who gave at least $1,000 in an election cycle and contributed to at least one school board election outside of their home state. In the 2012 and 2013 election cycles, large national donors gave a total of $2.7 million to candidates and committees in our four cities, comprising 44% of all funds contributed by individuals in these elections. It is important to note that teacher unions have long been known for playing a large role in school board elections. In our cities, state and national unions contributed substantial funds in both Bridgeport and Los Angeles, but not in Denver or New Orleans. Unions and large national donors supported competing slates of candidates. Less than 7% of contribution dollars from large national donors supported union-backed candidates. Most of the large national donors supported candidates who are aligned with “reform” positions in education, including policies like expanding charter schools and reforming teacher evaluation systems. The concentration of outside funds supporting the same candidates suggested the possibility of coordination among donors. We examined this possibility using social network analysis by identifying 80 large national donor households and examining relationships between the individuals in these households. The figures below compare relationships between donors for the election cycles from 2008-2011 to 2012-2013. A link in the network indicates any pair of donor households that gave to the same candidates or committees. Thicker lines between the nodes show that the donors had more similar giving patterns by funding more candidates or committees in common. By 2012-2013, the network of donors across the four cities becomes much more interconnected; 74 out of the 80 large donor households shared at least one connection by way of donating to the same candidates or committees. We consider four possible explanations that could predict the donor ties we observe for 2012-2013: ideological similarity, federal campaign contributions (which are largely party-based), geographic proximity, and shared affiliations with education organizations. Each of our independent variables is also a network of donors (representing social ties or similarity ties). Using a form of regression analysis for network data (known as QAP) we find that the network most strongly associated with school board contributions is the network of affiliations with education organizations. In other words, donors who are affiliated with the same education organizations are much more likely to donate to the same school board candidates. Donors who share a single network tie through board memberships at the same educational organization are predicted to donate to approximately 1.5 candidates or committees in common, other things being equal. The groups with the most donors linked through board memberships include Teach for America (6 donors), New Schools Venture Fund (4 donors), KIPP charter schools (3 donors), and Democrats for Education Reform (DFER) (3 donors). Our findings show that dozens of major donors can be mobilized to support local campaigns in widespread locales. The results also speak to growing evidence of the role that affluent individuals can play in politics at all levels of government, including local politics. A recent study of campaign funding for Chicago’s mayoral election also demonstrated the substantial role of high-income donors living outside of the city. The growing relevance of local elections on a national stage could have important implications for local governing and democracy. We are exploring some of these implications with ongoing research that will examine the impact of outside money on campaign outcomes, including candidate recruitment, campaign messaging, media coverage, and voter turnout. Sarah Reckhow is an assistant professor in the Department of Political Science at Michigan State University. She is the author of Follow the Money: How Foundation Dollars Change Public Politics. Her research interests include education politics, urban policy, and the political role of nonprofits and philanthropies. She has recently published articles in the Journal of Urban Affairs, Policy Studies Journal, and Educational Researcher. Jeffrey R. Henig is a professor of political science and education in the Department of Education Policy & Social Analysis at Teachers College, and a professor of political science at Columbia University. He is the author, coauthor, or co-editor of eleven books, most of which deal with the relationships among government, markets, and the nonprofit sector and the ways those play out in the face of politics, race, and advocacy. Rebecca Jacobsen is an associate professor in the College of Education at Michigan State University and Associate Director of the Education Policy Center. Her research examines how policies both shape opportunities for and barriers to public participation in the public education system. She has written about the politics of charter schools and accountability policies. She has published articles in Public Opinion Quarterly, American Education Research Journal, American Journal of Education and Education Finance and Policy. Jamie Alter Litt is a doctoral student at Teachers College, Columbia University in the Education Policy and Social Analysis department. She is also an Engagement Manager at the Center for Public Research and Leadership, where she works on research and evaluation projects for public education organizations. Prior to Teachers College, she supported education research and policy development at New Visions for Public Schools and RMC Research.